Perfect for your little prince! 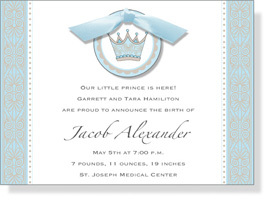 Blue and silver bordered backer card holds your personalized announcement, shower or birthday party text. 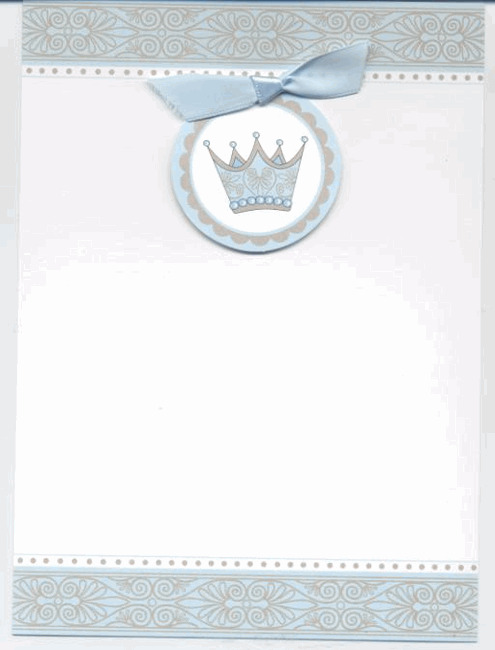 Round diecut featuring prince crown attaches on top and includes blue tied ribbon. NOTE: card will be typeset horizontally like sample unless you specify otherwise. NOTE: Only 11 sets left! SIZE DIMENSIONS: 5" x 6.9"